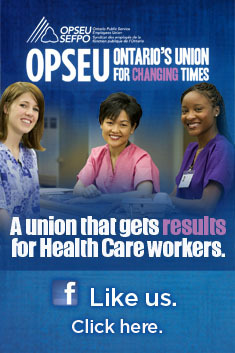 ← Did The Scarborough Hospital hide its near insolvency from the LHIN? Advocates for two-tier health care fail to acknowledge that a second tier comes with a significant cost to the first. Waits for colonoscopies in Montreal are averaging between two to three years in the public system for patients considered to be at average risk. The city’s Royal Victoria Hospital has stopped accepting new patients for colonoscopies – at least until the backlog can be resolved. One family physician has contacted the Montreal Gazette to suggest the long waits are all about forcing patients into private clinics, especially when the gastroenterologists are working both the private and public side of the system. As the hospitals turn away patients seeking a colonoscopy, private clinics in the city are offering promotional discounts to attract more patients. When private alternatives are available, there is an incentive to create long waits to push patients into the private system. However, when they do so, they also push the professionals into that system too, making the situation even worse. In the U.S., where there is an even greater blend of private and public, a Duke University study found that doctors who had in-house diagnostics were 2.48 times more likely to order imaging than those who had no financial interest. Of $14.1 billion spent on diagnostic imaging in 2006, $9 billion was spent in physician offices. The study estimates that at least $3.6 billion in Medicare funding is spent reimbursing physicians for imaging that is really not necessary. In the U.S. doctors are prohibited from making referrals to external facilities in which they have a financial interest. However, this does not apply to in-house facilities that are part of their private practice. For the most part, in Canada conflict of interest rules are set and enforced by the professional colleges. These rules need to be further tightened in an environment where for-profit delivery on health care is on the rise, regardless of whether the payment is by public insurance, private insurance, or out-of-pocket. This entry was posted in Health System and tagged Conflict of Interest, Royal Victoria Hospital, two-tier health care. Bookmark the permalink.